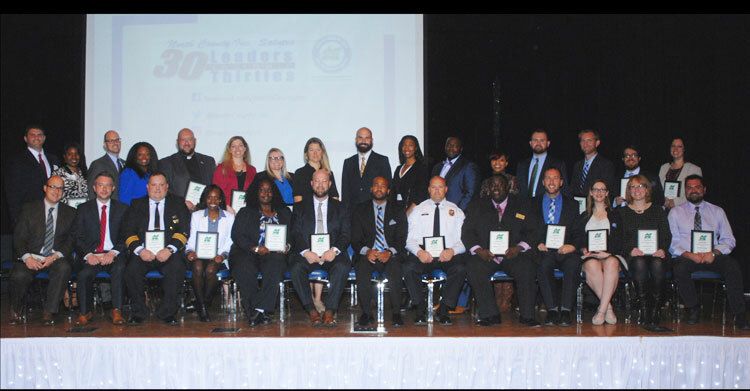 On Thursday, October 27, 2016, North County Inc. honored this year’s top North County 30 Leaders in their Thirties. This amazing group of up-and-coming professionals and volunteers who are making a difference in the North County area were recognized at the NCI Salutes 30 Leaders in their Thirties reception at Christian Hospital. “We are proud of this impressive group of community, civic, and business leaders who as young adults are excelling in their professions and making a difference in North St. Louis County,” said Rebecca Zoll, President/CEO of North County Inc. 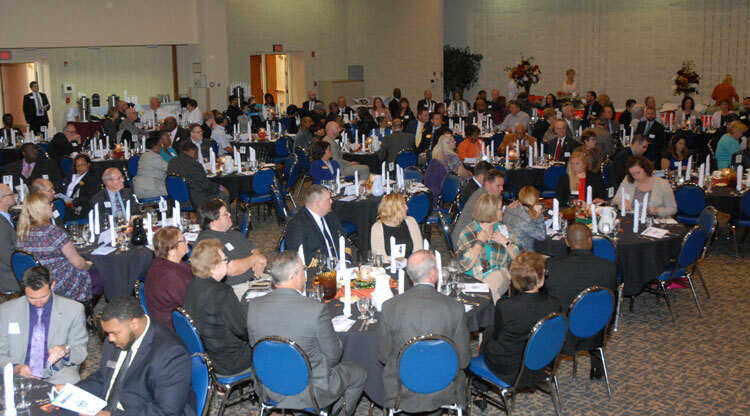 Event sponsors were: Christian Hospital, Christian Hospital Foundation, Commerce Bank, Community News, Enterprise Holdings, Favazza & Associates LLC, Greater North County Chamber of Commerce, Kent Miller Photography, Plumbers & Pipefitters Local 562, SSM Health DePaul Hospital, St. Louis Community College-Florissant Valley, St. Louis County, St. Louis Economic Development Partnership, U.S. Bank. Kurtis Barks is the owner of Complete Auto Body & Repair, at five locations in Hazelwood, Dellwood, St. Louis and O’Fallon, and A2B Towing and Recovery Services. He has spearheaded community charitable efforts through his businesses by giving $35,000 per year to local charities, being a $10,000 sponsor to the annual Guns and Hoses event for law enforcement and police officers, and has donated over $200,000 to the BackStoppers of St. Louis and Responder Rescue. 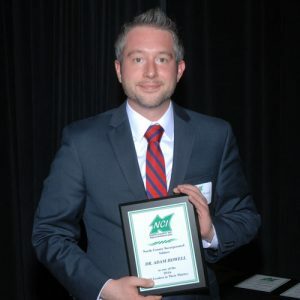 Kurtis is a member of NCI, the Northwest Chamber of Commerce, the Greater North County Chamber of Commerce, and the Maryland Heights Chamber of Commerce. Kurtis has been active in ”Night Out” events in Florissant, Hazelwood, Normandy, and Dellwood to promote North Saint Louis County. Complete Auto Body and Repair is a member of North County Inc.
Jackie Bode is the Executive Director of the Christian Hospital Foundation. Jackie manages all fundraising efforts including two special events which gross $150,000 annually. Her fundraising efforts are used to invest in Christian Hospital’s services. She is proud of launching the foundation’s Legacy Prints Artwork Program which has grossed approximately $30,000 to beautify the halls of the hospital. 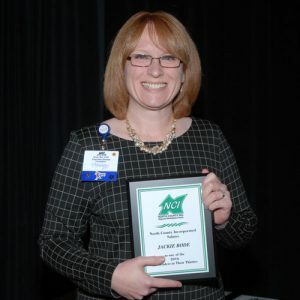 She also started the foundation’s annual giving program which gives supporters the opportunity to learn about the impact they are having on the hospital and North Saint Louis County community. Jackie is a member of North County Inc., the Greater North County Chamber of Commerce, the Rotary Club of Florissant, and Love on a Leash Pet Therapy. 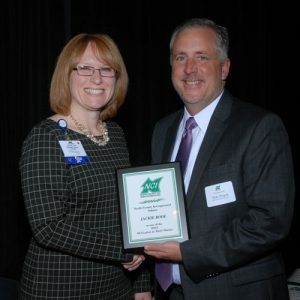 She has previously been awarded the Christian Hospital High Performer Award. Christian Hospital is a proud member of North County Inc.
Martha Burkhardt is the Owner and Attorney of Law at Burkhardt Law Firm. Martha is responsible for advising and assisting clients with legal documents that can save families heartache and money when they lose a loved one. Martha is most proud of starting her own law firm when she was just 27 years old in order to help families educate themselves and make plans to enable them to make the best legal decisions for themselves. 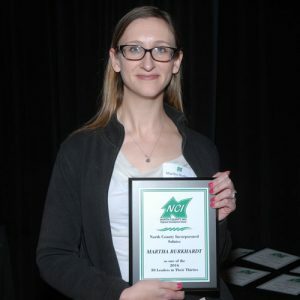 Martha is a member of the Northwest Chamber of Commerce and a Junior Achievement Young Professionals Board Member. Martha regularly volunteers with the St. Louis County Older Residents Program where she provides simple estate planning to older low income residents. Martha has previously been voted the 2016 Best Attorney of the Northwest Chamber of Commerce. 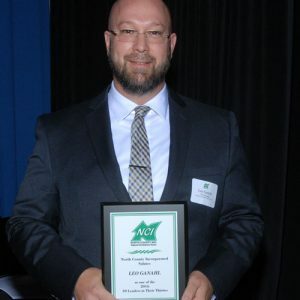 The Northwest Chamber of Commerce is a member of North County Inc.
Bill Casner is the principal of Bridgeway Elementary School in the Pattonville School District. 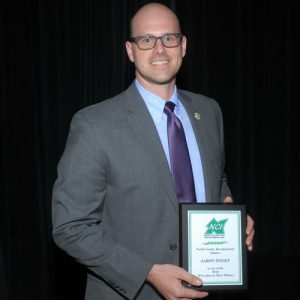 He serves as the educational leader and administrator ensuring that all students become proficient learners, responsible citizens, and college and career ready. Bill has passionately worked to increase Bridgeway’s after-school programs, totaling over 200, in order to help students feel more connected to school and encourage students to explore their interests. He works closely with the Bridgeton Kiwanis Club where he established the Terrific Kids at Bridgeway program and supported the Kiwanis Kids after-school club that promotes building students into leaders. 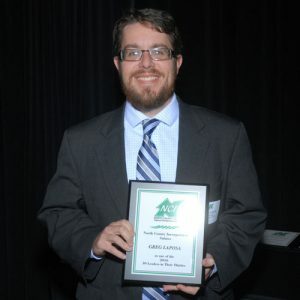 He has previously been recognized as the Outstanding Beginning Teacher from the Missouri Association of Colleges. 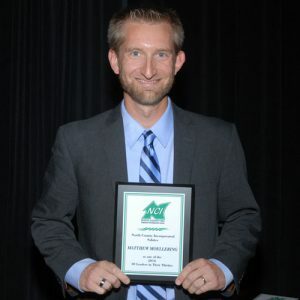 The Pattonville School District is a member of North County Inc.
Dr. Mark Davis is an Assistant Principal at Northview Elementary School in the Jennings School District. 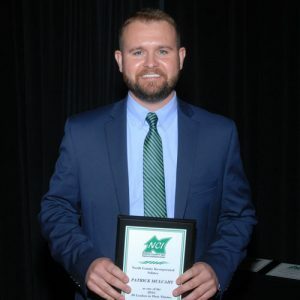 Mark is responsible for assisting the principal in growing instructional capacity, academic outcomes, and social and emotional development for an elementary school environment consisting of approximately 550 students. He is most proud of supporting the district’s initiative to increase social, behavioral, and academic outcomes of African-American boys at the elementary level through developing a 3-pronged mentoring program: an emotional and academic development program to improve their acclimation into society, a development program to expose boys to the post-secondary education landscape, and a literacy and academic support program to place boys with adult male mentors to increase reading and cognitive abilities. He is a member of the Prince Hall Freemasons, the Alpha Phi Alpha Fraternity, and the New Sunny Mount Baptist Board of Education. Dr. Davis has been previously honored by being selected as the keynote speaker at the New Sunny Mount Baptist Church’s annual Deacon and Trustee Day. 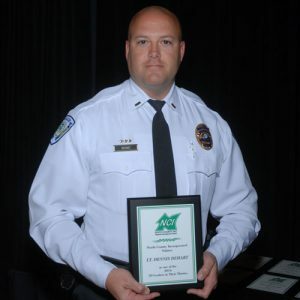 The Jennings School District is a member of North County Inc.
Dennis DeHart is a lieutenant for the City of Florissant Police Department. Dennis oversees the day to day operations of a patrol platoon by directing decision making, offering guidance, teaching, and coaching his fellow officers. He has risen throughout his career by starting as a Patrolman and subsequently being promoted to a Field Training Officer, a Sergeant with the Bureau of Investigations, and a Detective Sergeant with the Detective Bureau. He takes great pride and responsibility in working with the community on all levels and is a true believer that one should lead by example. He is most proud of his time as a Supervisor with the Major Case Squad of Greater St. Louis where he brought justice for North County families. Dennis has been able to provide public service to the North County community every day in order to make it a safe place to live, work, shop, and run a business. 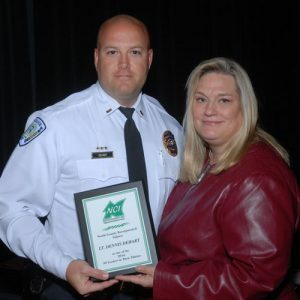 He has earned numerous commendations over his 15+ years with the City of Florissant, notably in 2010 due to his expertise and diligence leading to the removal of a heinous predator from the streets that had victimized a 12-year-old child. The City of Florissant is a member of North County Inc.
Howard Fields is the principal of Koch Elementary School in the Riverview Gardens School District. 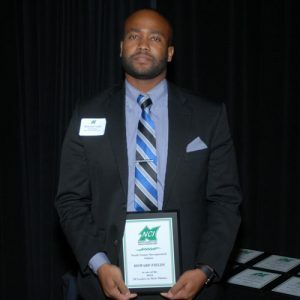 He has served as a mentor and educator in North Saint Louis County for the past 10 years. Howard has led an education team that has increased his school’s annual performance by more than 200%. Howard is proud of starting the “Koch Parent-Principal Luncheon” to strengthen school to home relationships. 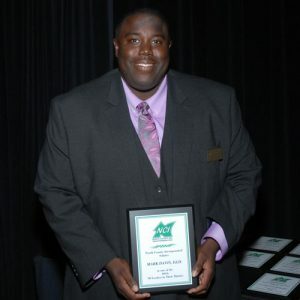 He is an active member of the Missouri Association of Elementary School Principals, the University of Missouri St.-Louis Alumni Association, and the St. Louis Community College-Florissant Valley Alumni Association. Howard volunteers on Thanksgiving to provide his local school community with Thanksgiving Day meals. During the 2014 civil unrest, Howard, knowing that the local stores were not able to provide food, began going to the Hostess Bakery each weekend, where he was given free baked goods to bring back to his school to distribute to children and families in need. This act of leadership by Howard inspired other businesses to donate turkeys, potatoes, and other items during the holiday season. The Riverview Gardens School District is a member of North County Inc.
Leo Ganahl is the Principal at the Halls Ferry Elementary School in the Ferguson-Florissant School District. Leo focuses on working with teachers in order to improve classroom instruction and building relationships between his school and the community. He is honored to have been able to support his students’ dreams, aspirations, and endeavors through his mission as an educator. He is proud that as a native North County resident he has been able to build a stronger community through his work for the school district. 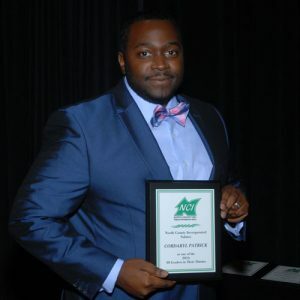 Leo is a member of the Ferguson-Florissant School District’s “United As One” campaign and has been recognized as the District’s 2011 Teacher of the Year. The Ferguson-Florissant School District is a member of North County Inc.
Courtney Graves, Ed.D. is the Director of Clinical Services at St. Vincent Home for Children. Courtney oversees a 40 bed residential treatment facility where she manages the budget and directly supervises therapists and the other clinical staff. 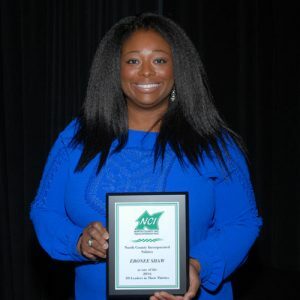 Courtney serves on the Board of Directors of the Ferguson-Florissant School District and has achieved Advanced and Masters Level Certification from the Missouri School Board Association. Courtney currently serves on the St. Martin’s Child Center Board, volunteers at Saint Louis Crisis Nursery, volunteers with the Susan G Komen Breast Cancer Walk, and is a Missouri School Board Association Delegate. She has previously been awarded The American Legion Citation for Meritorious Service and Loyal Cooperation. The Ferguson-Florissant School District is a member of North County Inc.
Alana Harmon is a Programmer Analyst for the Boeing Company in North St. Louis County. Alana previously served as a Software Tester and as a Junior Software Developer at Tapestry Solutions, Inc. She currently provides assistance to design, program, and execute test plans at Boeing and has helped gather information to determine architecture specifications, parameters for software compatibility, and application security needs. Alana is a member of Black Pride Saint Louis, the Boeing Black Employees Association, Saint Louis Crisis Nursery, and the Boeing Association of Gay, Lesbian, BI, Transgender Employees and Friends. She regularly hosts IT and software development classes for the youth in North County, encouraging their interest in this growing industry. Alana has previously received the Saint Louis Crisis Nursery Volunteer Award and the Boeing Performance Excellence Award. The Saint Louis Crisis Nursery is a member of North County Inc.
Victoria Harris is the Career and Employment Services Specialist at St. Louis Community College at Florissant Valley. 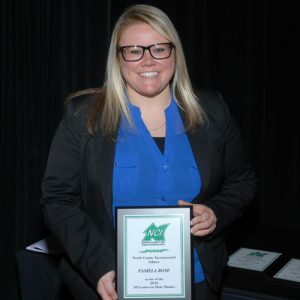 She is responsible for working with employers and students by connecting them with full-time employment, part-time employment, and internship opportunities. Victoria is most proud of helping to connect her North County students with employment opportunities to help them grow both as individuals and professionals. Victoria has been an active board member of The SoulFisher Ministries’ Educate Now Achieve Later program where she has been able to help provide tutoring, summer camps, and mentoring programs to elementary and middle school youth in Ferguson who have incarcerated parents. Victoria has been previously honored with the St. Louis Community College at Florissant Valley’s Innovation of the Year Award. St. Louis Community College at Florissant Valley is a member of North County Inc.
Brian Hokamp is the Chief of Emergency Medical Services at Christian Hospital, overseeing the day to day operations as well as Christian Hospital’s EMS academy. Brian has created a partnership between his department and local fire departments to provide them with the medical training necessary to keep their skills up-to-date. He is a Board Member of the Christian Hospital Foundation and member of the EMS/Hospital Radio Committee. 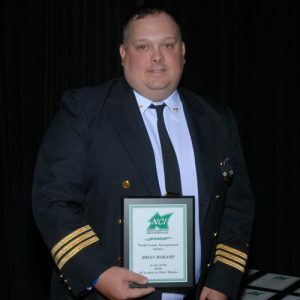 Brian has previously received a Department Citation from the Greater St. Louis Chiefs Association and the Presidential Leadership Award from the Missouri Emergency Medical Services Association for his EMS department’s response to the area’s civil unrest. Christian Hospital is a member of North County Inc.
Dr. Adam Howell is the President of Howell Family Chiropractic in Hazelwood. He focuses on disorders of the musculoskeletal and nervous systems, and the effects these disorders have on a patient’s general health. Adam is most proud of being a 4th generation chiropractor and carrying on his family’s thriving 85 year old North Saint Louis County business. He is a member of the Missouri State Chiropractors Association and the American Chiropractic Association. 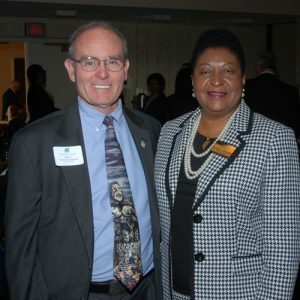 He is currently serving on the Board of Directors for both The Rotary Club of Florissant and the Greater North County Chamber of Commerce. As Rotary’s Community Service Director, he has worked hard this year as a volunteer helping raise funds to donate to charities in need throughout the community. For the Chamber, Adam co-chairs their Music Trivia Fundraiser and Young Professionals Group. He actively volunteers at Marygrove, a residential treatment facility for children in Florissant. You might also catch Adam and his classic rock band performing around the St. Louis area. 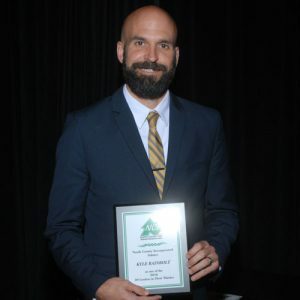 The Rotary Club of Florissant and the Greater North County Chamber of Commerce are members of North County Inc.
Matt Husband is the Owner of The Husband Agency in Florissant. Matt provides State Farm insurance services to the Florissant and North County region with a staff comprised entirely of Florissant residents. He is proud of his efforts to remodel “The Mercantile” in Old Town Florissant in order to help beautify the community and house his business. He is a member of the Rotary Club of Florissant, Florissant Old Town Partners, and the Greater North County Chamber of Commerce. Matt has shown a continued commitment to North Saint Louis County by his continued sponsorship of Florissant Old Town Partners’ Wednesday Nights Out and through his volunteer work in the community. 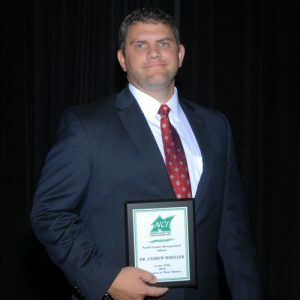 He was also honored by his company and was named a State Farm Mutual Fund Leader. The Husband Agency is a member of North County Inc.
Erin Krupinski is the Unit Manager of a surgical unit at SSM Health DePaul Hospital. She manages, mentors, and coaches her staff to provide quality care for each and every patient. Erin is most proud of her hospital unit being selected to develop and implement process improvements in patient care, focusing on cost savings for her patients while improving the overall quality of care. Erin is a member of the Missouri Organization of Nurses. She is an active volunteer for the Room at the Inn, which is a shelter for women and children in North County. Erin raises hundreds of dollars in donations and clothing for the shelter every Christmas. Erin was the 2016 nominee for the Jill Fine Lighthouse Excellence in Nursing Award for Leadership. SSM Health DePaul Hospital is a member of North County Inc.
Greg Laposa is the Vice President of Education Strategies and the Director of Project Planning and Leadership at the St. Louis Regional Chamber. He leads specific initiatives that will ensure that St. Louis becomes a top ten region for educational attainment by 2025. One of the specific initiatives Greg is leading is the development of an education compact to unite the St. Louis region in pursuing greater educational attainment for all its residents. He is most proud of being able to support, through the management of strategies, the work of North County Inc. as it engaged in the Ferguson business recovery efforts from 2014 to 2015. He is a member of the STL Youth Jobs Steering Committee, the St. Louis Graduate Steering Committee, and serves on the advisory board for the Education Attainment Division of the American Association of Chamber of Commerce Executives. 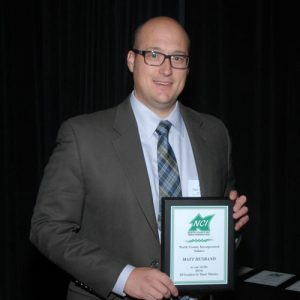 Matthew Moellering is the Area Coordinator for the Special School District of St. Louis County. Matthew is responsible for planning, organizing, directing, and implementing the operations and programs under the direction of the Director of Special Education for the District. He is most proud of coordinating a state recognized dropout prevention program called Project Walk. This program graduates over 90% of its students and has led to a dramatic decrease in the dropout rate at Hazelwood West High School. Matthew has also developed a partnership with North County businesses to provide a jobs training program for special needs students. He has worked in the community to coordinate a school-wide initiative at Marygrove to fulfill Christmas wishes for 15 homeless families. Matthew has received the the Special School District Commitment to Kids Award and the Hazelwood West Teacher of the Year award. The Special School District is a member of North County Inc.
Patrick Mulcahy is the Executive Assistant to St. Louis County Councilman Pat Dolan, responsible for assisting the councilman in serving the residents of the 5th District through working on constituent services and legislative issues. He is most proud of working to help pass legislation to enact a prescription drug monitoring program for Saint Louis County residents. This monitoring program is important in the communities’ battle against opioid misuse and addiction. Patrick is a member of the Sacred Heart Catholic Church in Florissant, the Knights of Columbus Council 2951 of Florissant, and the North County Labor Club. Patrick actively volunteers with SHAPE, a young adults group, at Sacred Heart Church, whose goal is to get more young people involved in the church and keep families invested in the community. Patrick has been previously honored with the Thomas Eagleton Grass Roots Award. Saint Louis County is a member of North County Inc.
Tavonda Palmer is a Spanish and Leadership Teacher for the Ritenour School District. Tavonda is most proud of being able to develop and mold students into strong future leaders who are making positive contributions to their community. She is a member of the Overland Rotary, Gateway 2 Change, and the Missouri Association of Student Councils. She volunteers and serves as the sponsor for Ritenour’s social justice club named Game Changers, which has given young people in North County a voice to speak out on issues impacting their lives. 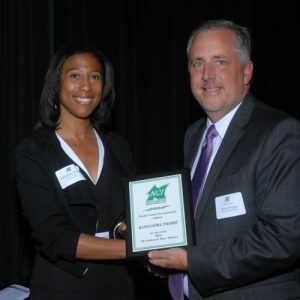 Tavonda has been previously honored with the Dr. Martin Luther King Teacher of the Year award, the Extracurricular Activities Advisor of the Year award, and the McDonald’s Outstanding Educator award. The Ritenour School District is a member of North County Inc.
Cordaryl Patrick is the Recovery Coordinator for the St. Louis Economic Development Partnership. In this role he works with businesses in the cities of Ferguson, Dellwood, Jennings, and unincorporated North St. Louis County to support redevelopment efforts in the commercial corridors. Before joining the Partnership, he was the City Administrator and Public Services Director for the City of Dellwood, working tirelessly to help his residents and business owners cope with the civil unrest in 2014-2015. Cordaryl is proud to have assisted more than 80 businesses in the Dellwood, Ferguson, and Jennings areas through the Small Business Relief Fund in order to improve the outside aesthetics of area businesses as a tool to attract more customers. He has helped implement a Beautification Project in partnership with the St. Louis County Port Authority which consists of positive art on signal boxes along the West Florissant Avenue commercial corridor. Cordaryl has been active in the formation of the Dellwood-Ferguson West Florissant Business Association. 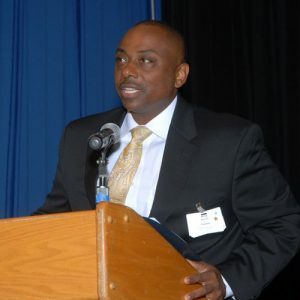 He is a member of the St. Louis Area City Management Association, and a FOCUS-Leadership St. Louis graduate. Cordaryl is a graduate of the University of Missouri-St. Louis. 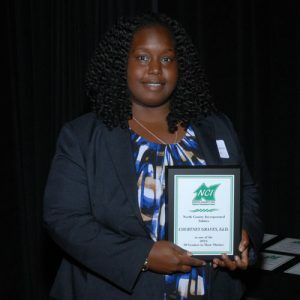 The St. Louis Economic Development Partnership and the University of Missouri-St. Louis are members of North County Inc.
Kassandra Pierre is the Assistant General Manager of Bank of America Plaza and the General Manager of DuPont for the Jones Lang LaSalle (JLL) team. Kassandra has been instrumental in coordinating the 2,200 employees at Bank of America in community initiatives such as American Red Cross blood drives, the annual KidSmart Push for Pencils Supply Drive, and the Annual Toys for Tots Drive. She is a member of the JLL Latino and African-American Resource Network and has participated in initiatives for the American Lung Association. Kassandra is proud of her contributions to JLL’s coordination of the Sunnyhill Supply Drive which provides tailored residential, recreational, and educational opportunities for children and adults with developmental disabilities. Kyle Rainbolt is the Pastor of Trinity Church and the Co-Director of Empower North County in Hazelwood. At Empower North County, Kyle works to provide opportunities to people through education and job training. He has worked through Trinity Church to create a partnership with the Hazelwood School District to provide tutoring and resource fairs for families in transition and promote beautification projects at Cold Water Elementary School. Kyle is a member of the Hazelwood School District Clergy Coalition and President of the McNair Elementary School PTA. He is proud of his work in the community through organizing “Mother to Mother” events that encourage attendees to have cross-racial dialogue. 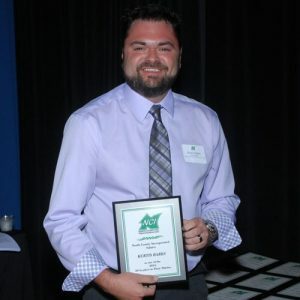 He has previously been recognized as the Cold Water Elementary School Volunteer of the Year. Hazelwood School District is a member of North County Inc.
Molly Rockamann is the Founding Director of EarthDance, a North Saint Louis County-based organization that sustainably grows food and provides hands-on agricultural education at the Mueller Farm in Ferguson. She is proud of being able to conduct a Food Safety Assessment of Ferguson over the past year. This food safety assessment provides a basis for improving Ferguson’s food system, food security, and economic development. Molly is a member of the Ferguson Human Rights Commission and the Catholic Charities Pathways to Progress Advisory Committee. She has made purchasing fresh produce at the Ferguson Farmers Market more accessible by including a Community Food Booth at the market which accepts SNAP food credit. 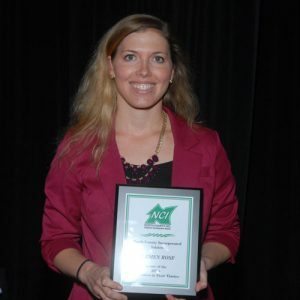 Molly has previously been honored as a Green Visionary by St. Louis Magazine. In 2016, EarthDance was recognized by FOCUS St. Louis with their “What’s Right with the Region” Award. The City of Ferguson is a member of North County Inc.
Pamela Rose is an Assistant Vice President and Branch Manager at U.S. Bank in Bellefontaine Neighbors. She is responsible for actively coaching, leading, and motivating her employees by building meaningful relationships with the customers they serve. Pamela is proud of, while at the U.S. Bank Waterford Branch in Florissant, collaborating with a coworker to put together a proposal to include U.S. Bank in the St. Louis Pride Festival. She is a member of the Gateway Business Guild, which offers resources to LGBT and LGBT friendly owned and operated organizations, and Doorways Friends in Deed Group, which provides support services to improve the quality of life and health outcomes for people affected by HIV/AIDS in the St. Louis area. Pamela has volunteered for Habitat for Humanity at a build site in North County. 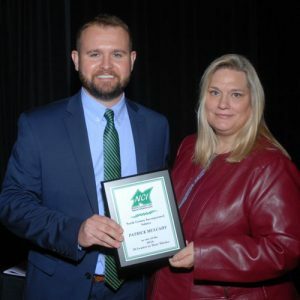 While managing the Bissell Hills U.S. Bank branch in Bellefontaine Neighbors, she was awarded the U.S. Bank Annual Pinnacle Award in 2014 and 2015 which recognizes a top branch in the company. U.S. Bank is a member of North County Inc.
Carmen Rose is the Music Director at Trinity Catholic High School. 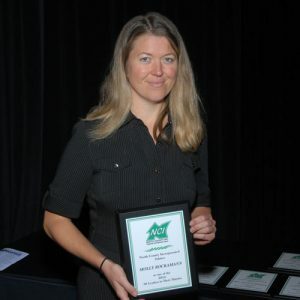 She administers the Direct Concert Choir and Concert Band as well as teaching drama, piano, guitar, and music history. Carmen serves as the music minister for monthly school Masses and leads the Praise Band and Choir. Carmen is proud of increasing the size of the music program at Trinity Catholic High School, adding new courses and activities to the curriculum, allowing students interested in the Arts even more opportunities to explore their talents. Carmen has led the Trinity Catholic High School Concert Choir at community events including town hall meetings and helped raise money for the Carols for a Cause Children’s Organization. 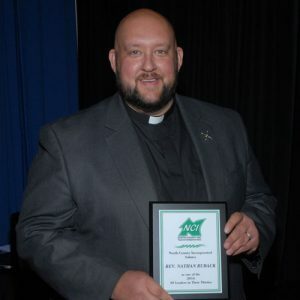 Trinity Catholic High School is a proud member of North County Inc.
Pastor Nathan Ruback is the Senior Pastor at Grace Lutheran Chapel and School in Bellefontaine Neighbors. His responsibilities range from administration, preaching and leading worship, teaching in his church and school, community outreach, and leadership. Nate also is the President of the Board of Directors for the newly established Lutheran Hope Center-Ferguson. He has been involved from day one in developing this ministry in response to the communities’ needs. The Hope Center’s mission is to provide opportunities for youth and families to improve academic performance, to build character and leadership skills, and foster relationships of trust between citizens and local authorities. Nate was proud of partnering with other churches and leading efforts to support businesses, families, and the North County community following the 2014-2015 civil unrest in the community. 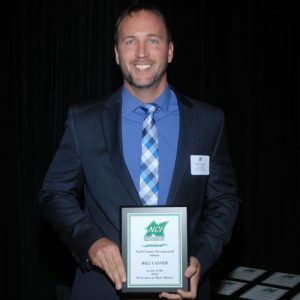 Nate serves on the Board of Directors for North County Inc. and the Lutheran High School Association of St. Louis. Grace Lutheran Chapel and the Hope Center are members of North County Inc.
Ebonee Shaw is the Senior Director of Special Events for Saint Louis Crisis Nursery. She has led the planning of fundraising events, marketing campaigns, and developed relationships for the Crisis Nursery throughout the region. Ebonee is proud of organizing events which have raised over $5 million in the past 6 years to help children. Ebonee serves as Chair of the Civil Service Board of the City of Berkeley, the Vice-Chair of St. Martin’s Child Center, and as the Volunteer Chair of the Susan G. Komen Race for the Cure. Starting the weekend after the 2014 civil unrest, she led the Saint Louis Crisis Nursery staff and volunteers for the next 10 weekends bringing diapers, formula, clothing, and cleaning supplies to the residents of Canfield. 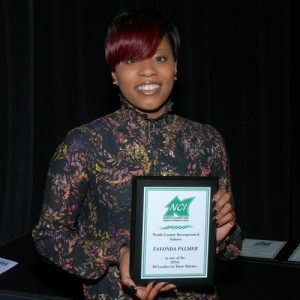 Ebonee has been awarded the Young Leaders Award by the St. Louis American Foundation and the Phenomenal Woman Award by The Minority Business Exchange. The City of Berkley and the Saint Louis Crisis Nursery are members of North County Inc.
Aaron Tossey is a Plan Reviewer and Supervisor for the City of Florissant. He offers managerial support for the city’s Building Division and Public Works. He also reviews construction documents, issues permits, and coordinates with local, state, and federal agencies for both businesses and residents. Aaron is currently working to adapt the city’s building code enforcement for an ever-changing historical community. Before joining Florissant, Aaron worked with the St. Louis County’s Problem Properties Unit where he partnered with numerous organizations to secure funding to help with challenging housing situations, including mentally challenged residents that needed help with health and sanitation standards. He also worked with numerous organizations to help get aid for those with extreme housing needs. Aaron is a member of the St. Louis Association of Code Enforcement. He has received the “Citizen’s Citation Award” from the St. Louis County Police for assisting in the capture of one of St. Louis County’s top ten most wanted. The City of Florissant is a member of North County Inc.
Kendra Vaughn is a Reading Specialist for the Hazelwood School District. 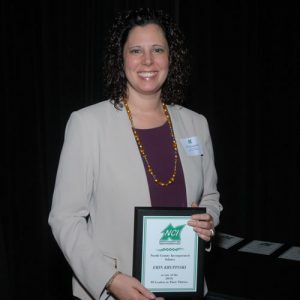 She is responsible for implementing a comprehensive literacy program for students, providing staff development to teachers, and serving as a liaison between the school district and community. 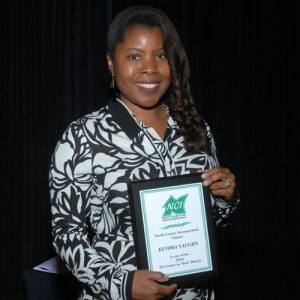 Kendra is proud of her service on Hazelwood School District’s Family and Community Involvement Committee and the Hazelwood Mentoring Program. 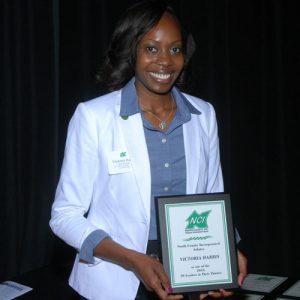 She is a member of the Missouri National Education Association and dedicates her time outside of the classroom to organizations such as The Youth Empowerment Summit and the Manifest Your Destiny Foundation, where she helps regional youth become leaders throughout the community. 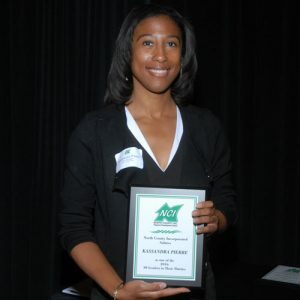 Kendra has previously been honored with the Emerson Excellence in Teaching Award. Hazelwood School District is a member of North County Inc.
Dr. Andrew Wheeler is a Surgeon at SSM Health DePaul Hospital. He performs general, trauma, and weight loss surgery at DePaul. Andrew has published research in journals, made national presentations in his field, and helped expand the hospital’s comprehensive weight loss center. He has helped SSM to expend their services to include comprehensive weight loss solutions to include both surgical and non-surgical therapies to treat patients suffering from obesity. Andrew is a member of the American College of Surgeons, the Society of American Gastrointestinal and Endoscopic Surgeons, the American Society for Metabolic and Bariatric Surgery, and a member of the Journey West County Church. He was awarded the First Place for Best Scientific Presentation at the Missouri Chapter of the American College of Surgeons. SSM Health DePaul Hospital is a member of North County Inc.